I have something to get off my chest: I love Oreo cookies. This was true long before I became a spokesperson for Oreo cookies. I’m an Oreo connoisseur. “If you love them so much, why don’t you marry them,” you might ask. Unfortunately, we live in a society where cookies and humans are not permitted to marry. Someday though, man (or woman) and cookie may have that right. But I digress. Let’s get back to the issue of which I speak. I’ve been eating Oreo cookies for a long time. And over that time I have witnessed others’ Oreo eating habits. And my issue is this – stop splitting apart the cookies! An Oreo is meant to go together. It’s simple, two cookies are held together by icing. Why separate them? They interact with one another to create the tastiest thing alive. It isn’t called “The World’s Favorite Cookie,” for nothing. (Now, I know what you’re thinking: “The makers of Oreo Cookies are paying him to say that.” And yes, Mondelēz, the makers of Oreo are paying me to say that, but it’s also the truth. Let’s be clear, here’s how you eat an Oreo. Step one, you pull the cookie out of the bag. Step two, you eat the darn cookie. There’s no splitting and licking (or, heaven-forbid, scrapping). You simply bite down. That’s it! The only other option is to dunk the cookie in some milk. I hope I made my point clear, because very soon the World Cup will begin and Oreo Cookies, along with other goodies such as Ritz, Honey Maid, Trident, and Sour Patch Kids, will be passed around as we all cheer on our favorite teams. After all, Oreo Cookies are the official snacks food of US Soccer. 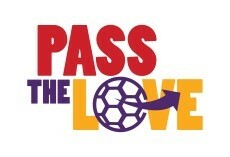 And by the way, if you are looking forward to the World Cup as much my family is, head over to PassTheLove.com, where you can get updates about the US soccer team, participate in contests, and play soccer-related video games. (How was that transition?) In one of the games, Free Kick Fury, you can be my favorite player, Clint Dempsey, and score goals. Let’s hope he scores some real goals in that first round because the team will need them in bunches, given their tough division. Now go eat some Oreo Cookies, but don’t separate them…. Oh fine, be that way. Go ahead and pull them apart if you must, but you won’t have my blessing. Disclosure: I am a paid ambassador for Oreo Cookies and Mondelez International. Although I have been compensated for this post, the wisdom that was just dropped on you is my own. I’ll be writing another post and I will probably include the Mothers and Sons. Previous Entry Is the new Godzilla movie appropriate for kids?